Each year, Bead&Button magazine sponsors BeadDreams, a competition of exceptional bead artistry in a variety of categories with entries from around the world. The pieces are showcased at the Bead&Button Show in Milwaukee, WI in June. Beaducation.com is proud to sponsor the prizes in the wirework category. The deadline to apply is coming up soon on March 6, 2012 and we thought we would share some inspiration and encouragement with a winner from last year's competition. In this post we introduce the second place winner Omniobadiah Mee. His piece was titled "Bronze and Blue". We just loved it and couldn't wait to hear more about it. Omniobadiah had this to say about his piece and his process. 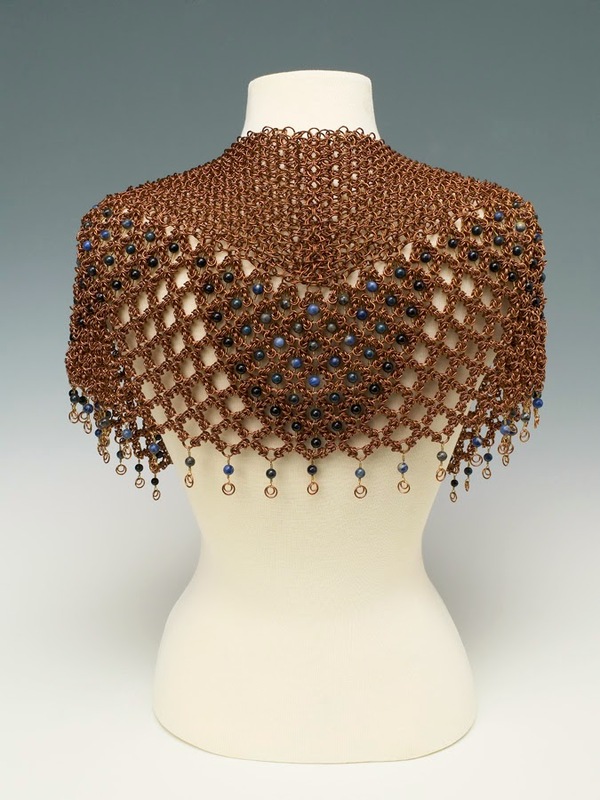 "It is a bronze chainmaile shawl with blue gold stone, sodalite, dumortierite and blue labradorite beads. The weaves used were a graduated Vipera Berus, and Byzantine Web. I decided to use bronze because I like how it patinas. I had started with the collar part and did not like how it looked as a necklace. 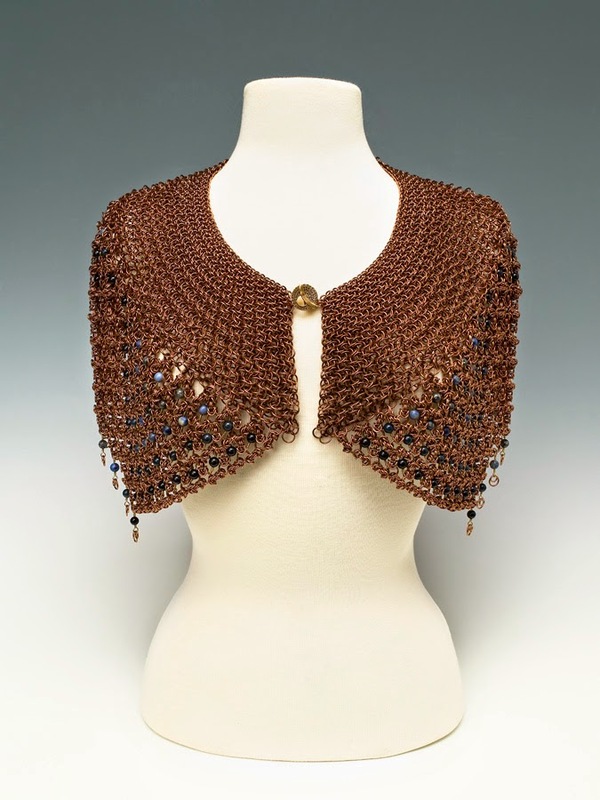 I had thought it looked liked a part of a embellished rhinestone sweater collar, and thought it needed to go bigger and longer and came up with a shawl idea." He continues, "In 2010 I went to the Bead&Button Show, to help a friend work a both. While there I saw the entries for the BeadDreams wirework category, I thought some of the entries were very impressive, and it inspired me to see if I could do better. It was then I started thinking about what to make for 2011 BeadDreams competition." Well, we are so glad you entered, because that is a beautiful piece! Coming up you'll hear from the first prize winner Vanessea Waliko. But first thanks so much Omniobadiah for sharing. That is some serious chainmail! Experiment, experiment, experiment. There is nothing wrong with trying out new techniques. I am always trying to learn new techniques, and methods, a weave I learned less than a week before going to the Bead and Button convention I ended up using to make up half of Bronze and Blue. I don't even know where to begin. The hours.....the patience........the beauty. Gorgeous.